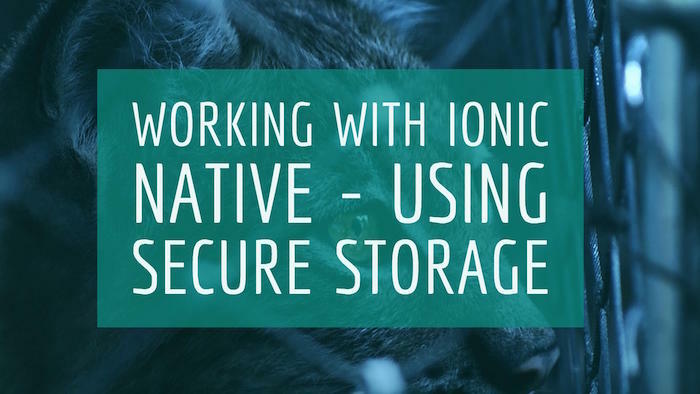 Today I’m reviewing another Ionic Native feature, the Secure Storage wrapper. As the plugin docs explain, this is a plugin that allows for encrypted storage of sensitive data. It follows an API similar to that of WebStorage, with a few differences. Second, you can’t get all the keys like you can with WebStorage. That’s probably related to the whole ‘secure’ thing, but in general, I can’t imagine needing that functionality in a real application. You could also use a key that represents a list of keys. Secure Storage is a key/value storage system, and like WebStorage, you can only store strings, but you can use JSON to get around that. With that out of the way - let’s build a simple demo. I created a simple two page app to represent a login screen and main page. Let’s start by looking at the first page, our login screen. Now we’ll look at the code behind this. All we’ve got here is a login handler that calls a provider to verify the credentials. 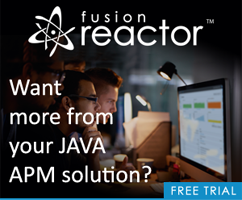 There’s one interesting part - the setRoot call you see there is used instead of navCtrl.push as it lets you avoid having a back button on the next view. Finally, let’s look at the provider, even though it’s just a static system. Basically - any login with “password” as the password will be a succesful login. That’s some high quality security there! When you login, JSON encode the username and password and store it as one value. When the app launches, first create the ‘bucket’ for the system, which will only actually create it one time. See if pre-existing data exists, and if so, get it, decode it, put the values in the form, and automatically submit the form. Now let’s look at the updated script. I’ll share the entire update and then I’ll point out the updates. So let’s start at the top. Don’t forget that your Ionic views can fire before the Cordova deviceReady event has fired. I still wish there was a simple little flag I could give to my Ionic code to say “Don’t do anything until then”, but until then, you can use the Platform class and the ready event. I create my Secure Storage bucket “demoapp”, and in the success handler, I immediately look for the key loginInfo. Obviously on the first run it won’t exist, but the bucket will be created. On the second (and onward) run, the bucket will already exist, and the data may or may not exist. If it does - I decode it, set the values, and login. That last operation was optional of course. Maybe your app will just default the values. There’s a few different ways of handling this. Finally, in the login handler I both set the value (after encoding it) and clear it based on the result of the login attempt. Notice that both calls are asynchronous, but I really don’t need to wait for them, right? Therefore I treat them both as ‘fire and forget’ calls. They could, of course, error. And there is a very good reason why it could. In the docs, they mention that this plugin works just fine on iOS, but on Android it will only work if the user has a secure pin setup. That’s unfortunate, but the plugin actually provides an additional API to bring up that setting for Android users, which is pretty cool I think. How about a few final thoughts? While you can store a username and password, and the docs even say this, I still feel a bit wonky about doing so. I’d maybe consider storing a token instead that could be used to automatically login just that user. And it could have an automatic timeout of some sort. If you read the blog post, Ionic Native: Enabling Login with Touch ID for iOS, then this plugin would be a great addition to that example. A bit off topic, but I would normally have added a “loading” indicator on login to let the user know what’s going on. And of course, Ionic has one. I was lazy though and since my login provider was instantaneous, I didn’t feel like it was crucial. As always - let me know what you think in the comments below. p.s. I’m loving Ionic 2, and Angular 2, and TypeScript, but wow, it is still a struggle. For this demo, I’d say 80% of my time was spent just building the first version. I’m still struggling with Observables, still struggling with Angular 2 syntax. Heck, it took me a few minutes to even just bind the form fields to values. That being said, and I know I’ve said this before, I still like the code in v2 more than my Angular 1 code.